This year I was looking for a different way to prepare sweet potatoes when I stumbled upon this recipe for hasselback sweet potatoes from My Recession Kitchen. 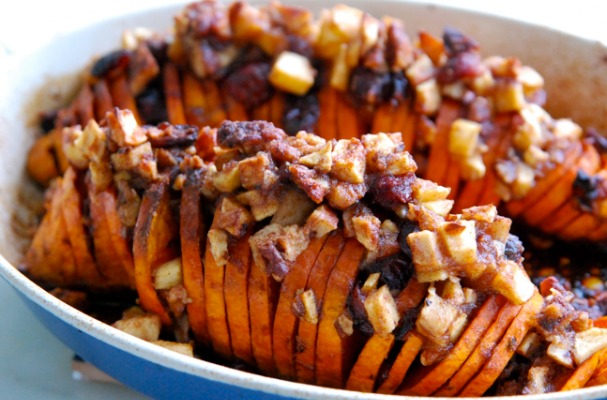 Slices of sweet potato are filled with butter, maple syrup, spices, nuts and dried fruit- it's practically a dessert. This sweet side dish is a must-have this Thanksgiving.